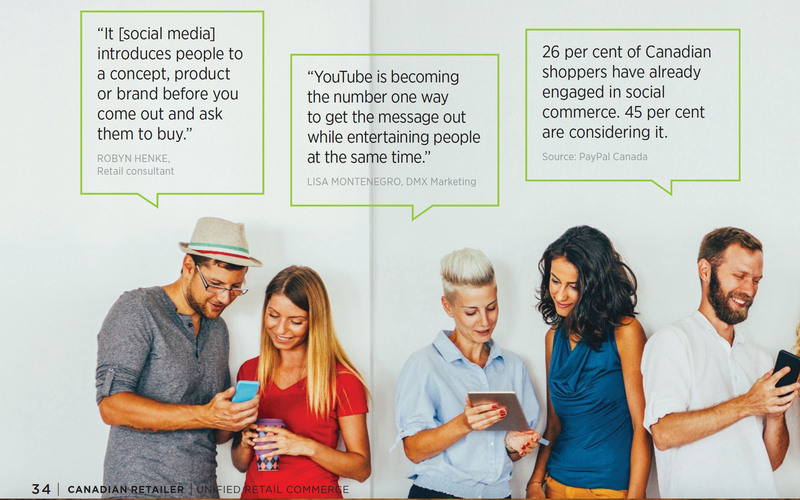 Lisa Montenegro partner with DMX Marketing was recently interviewed by the Canadian Retail Council. A day after Facebook took a major hit on the markets, Twitter has seen its share value fall by more than 20 per cent. For more on why, we spoke with Lisa Montenegro, a digital marketing expert based in Toronto. 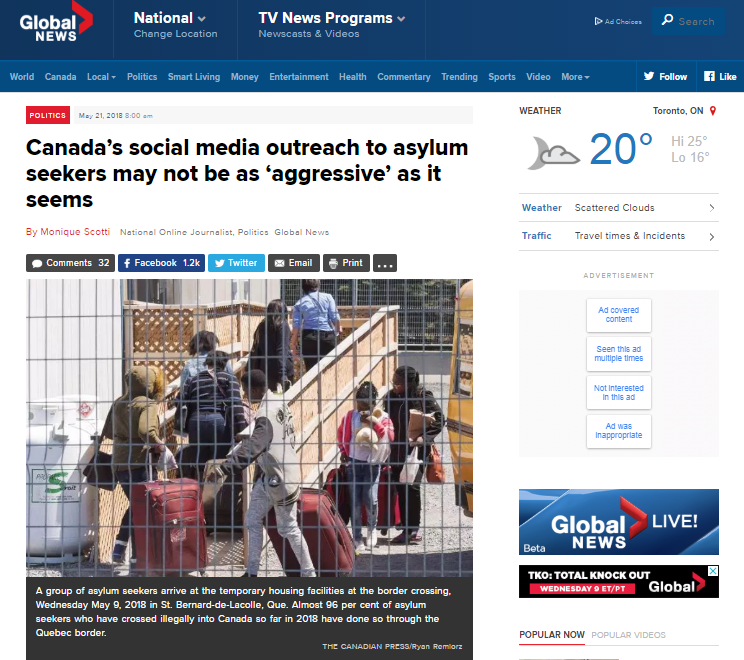 Canada’s federal government could be doing a better job reaching out to people who are thinking of crossing the Canada-U.S. border irregularly and claiming asylum, experts suggest, and it could start by actually paying for ads on social media. The ad buys that have been made in connection with the border crossings have been limited to search engines like Google, Global News has confirmed, with little attention paid to promoting the message that “there’s no free ticket to Canada” on social channels, where a lot of misinformation has been spreading. Ottawa has not spent a dime, for example, on the biggest social media juggernaut of all: Facebook. “We’ve seen this with the fake news in the U.S. election, that social media is very powerful,” said Jonathan Simon, an expert in digital marketing and visiting professor at the University of Ottawa’s Telfer School of Management. Since last summer’s large influx of people crossing irregularly into Quebec, Immigration Minister Ahmed Hussen has repeatedly stated that Canada is engaged in different kinds of outreach to correct the record about the ease of coming to Canada. Documents tabled earlier this month in the House of Commons tell a somewhat different story. They outline all spending on Facebook advertising and promotion by federal government departments since the beginning of 2016, and confirm that between them, the immigration department, the Immigration and Refugee Board of Canada (IRB) and the Canada Border Services Agency (CBSA) haven’t spent any money to promote their message about asylum on Facebook. Ottawa has instead relied on unpaid posts on government-run Facebook pages and Twitter accounts (like the one below), and videos on the immigration department’s YouTube channel. According to Adolfo Montenegro of Toronto’s Digital Marketing Xperts (DMX) firm, these free posts are virtually useless. People typically need to already be following the accounts to be exposed to them, for starters. “Social media channels like Facebook, Instagram, Twitter, over the last couple of years they have updated their algorithms,” he said. The government isn’t shy about Facebook spending in other arenas. Overall, it’s spent tens of millions on the platform, and the immigration department alone has spent $2.06 million since January 2016. But that money was all for ads explaining Canada’s new electronic travel authorization program, settlement services for newcomers and the Syrian refugee program. Over at the IRB, there was no Facebook spending at all for any reason, and the CBSA recorded $133,911 in Facebook expenses for staff recruitment campaigns. A spokesperson for the immigration department explained that rather than using social media ad buys, the government has been focusing what’s called “search engine marketing” to reach potential asylum seekers. Ottawa spent a total of $69,717 in the 2017-18 fiscal year, spokesperson Beatrice Fenelon noted, so that government ads pop up when people in certain U.S. states like New Jersey, California, Pennsylvania and New York search Google for keywords linked to Canada’s asylum system. The ads usually aren’t seen by Canadians as a result. The department is now “assessing the next phase” of a similar search engine marketing campaign for 2018-19. Advertising like this does have advantages, according to University of Ottawa expert Simon. What’s good about it, he said, is that most people do use Google and when they plug in the chosen search terms, the ads will reliably pop up. It’s harder, and more expensive, to do that kind of micro-targeting on social media. But there are drawbacks, too. It only makes sense to try and correct the record about seeking asylum in Canada in the same social-media space where the misinformation is spreading, Simon noted. Facebook’s advertising structure allows you to target based on geographic area or people’s interests, he said, and you can test multiple ads while paying as you go. The government could easily combine that with the existing Google efforts. Montenegro, meanwhile, was somewhat taken aback by the small amount of money spent so far on the search engine marketing, saying it more closely resembles the cost of a test campaign. “For an actual campaign led by a government ($70,000) would be a very small amount,” he said. Conservative Immigration critic Michelle Rempel said she isn’t surprised by the details surrounding the social media campaign. But she said there’s a larger issue. A lot of the information being circulated to potential asylum seekers isn’t untrue at all, Rempel argued, and it makes Canada seem very appealing. Over 7,500 people have crossed the border between checkpoints since Jan. 1, 2018, a significant increase over the same period last year. “If somebody illegally crosses the border into Canada, they can make an asylum claim,” Rempel said. The IRB has been working to speed up those processing times, the Liberals have countered, and efficiency has already improved by up to 40 per cent. All digital marketing agencies today need to be able to provide clear metrics on their customers’ social media return on investment (ROI). It is surprising to me to still hear businesses comment that social media is optional and not measurable. This is definitely a risk that businesses can’t afford to take now that social media has cemented itself as a marketing channel in its own right. It’s time to give social media the respect it deserves. And because this key component of your business strategy is going to take more time and resources, you should definitely know all about social media ROI. What is social media ROI? It’s a bit of an open question that depends specifically on your company and your goals. Let’s take a deeper look below. Defining your goals is the first step. Are you hoping to increase your number of followers? Are you planning to sell more product? Are you looking for increased traffic to your website? How about more foot traffic to your business? 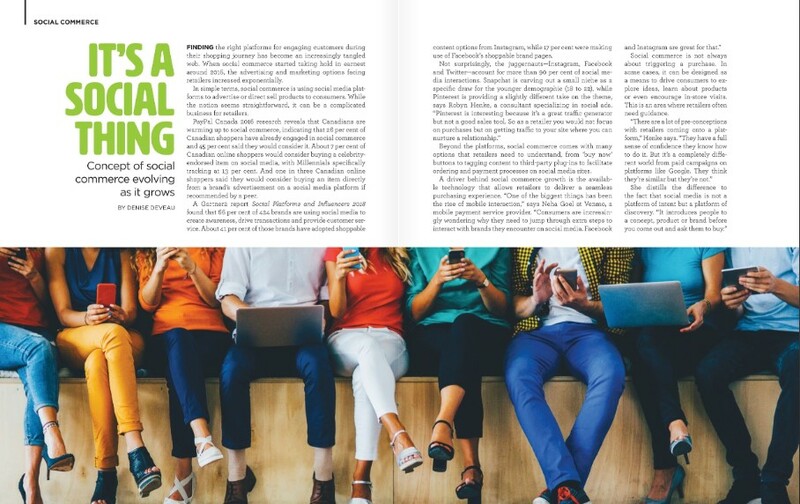 Social media ROI boils down to how much you’re currently spending and how much your social media impact matters to your business right now. This can pose some difficult questions and decisions. For example, maybe a long-standing company is used to spending most of its marketing budget on more traditional forms of advertising, like television or print. It can be difficult to decide to change what has been a long-standing tradition. For some, it may seem strange to trade television for Facebook or Instagram. However, social media ad spend may actually get more results. In fact, 2017 marked the first year that digital marketing surpassed TV ad spend. If you want to track your current social media ROI yourself, here are some great tools to help you. Before you start measuring your social activities, I’d recommend that you take a benchmark of where you are starting. It’s mind-blowing that many companies don’t know how much they’re currently spending on social media. It’s time to pay attention and find out which social media channel is bringing your company the most revenue at present and why. Also note areas in which you could improve. Monitoring these will enable you to make changes for the better. A great example of this is a local restaurant that wanted to know which social channel was most effective for increasing traffic to their location. For three weeks, they set out to test one social channel on only one specific day of the week. While they were pleased to see that each social channel tested (Facebook, Twitter, Instagram) brought results, they were somewhat surprised to find that their Instagram Stories strategy resulted in lineups out the door. This strategy specifically involved the kitchen staff taking video of the chef as each dish came out of the oven and was plated. This restaurant now exclusively markets on Instagram successfully. Again, define your goals. It’ll be easier to measure your social media performance if your goals are clear. Don’t try to hit every aspect possible. Choose areas that need improving or areas that are doing well and decide what to change to gauge more impact. Break these areas into categories that can be tracked, such as customers who follow through on one of your brand’s calls to action rather than using a browser to get to your website. For example, how many people are signing up for your emails or making a purchase by clicking through? Here are seven social media metrics to monitor. Once you have clear goals, an idea of your budget and a proposed plan, link your goals in tandem with your social media strategy to get the best ROI. For example, an event company set a goal of getting 12,000 visitors to their next event. Since the event was free, there was no signup required (so, it was hard to track numbers). Based on the social media campaign, we knew that 1.4 million-plus impressions had been generated, with 13,000-plus clicks on the link, but how would we know exactly how many people showed up? We decided to utilize people-counting sensors at the event and were able to measure that they surpassed their goal (14,546 to be exact). The impact of your social media campaign should be measurable from the get-go as the value and specifics of each link you share on social media will be trackable. This makes it easier for you to see which links are building traffic and promoting engagement. Here’s a great guide on link tracking throughout a campaign and beyond. It’s often the little things that add up. With that in mind, it’s important to remember that while social ROI matters, the figures themselves aren’t the only indicators of social influence and growth. For instance, influencers, collaborators and rich media can all enhance your social media presence without the need for long-term investment. Welcome to a new level of social awareness. Facebook has been accused of tracking users’ emotions to share with advertisers, according to an internal document that was leaked to The Australian newspaper on Monday. 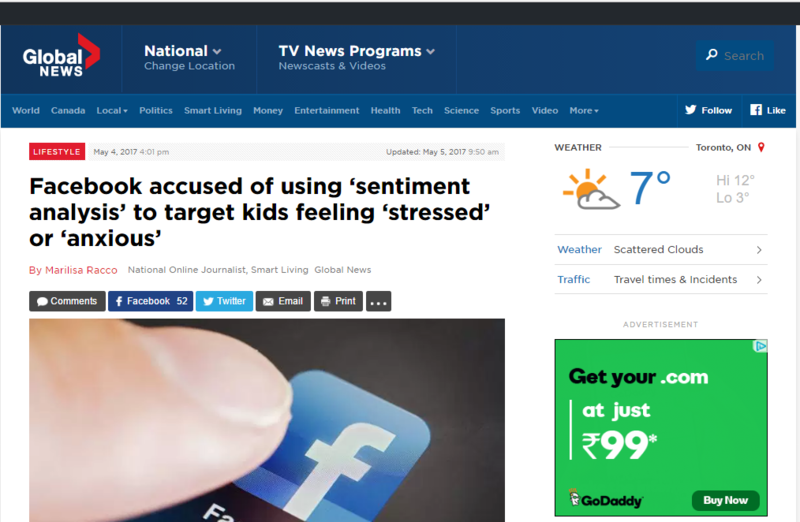 According to the article, by monitoring posts, comments and interactions, the social media giant is able to determine users’ emotional state and, some say, that information could be shared with advertisers who could then tailor their ads to prey on their vulnerabilities. In this instance, The Australian said that Facebook was able to gather information on people discussing “looking good and body confidence” and “working out and losing weight.” The article also stated that the social media giant could determine how emotions were communicated throughout the week. 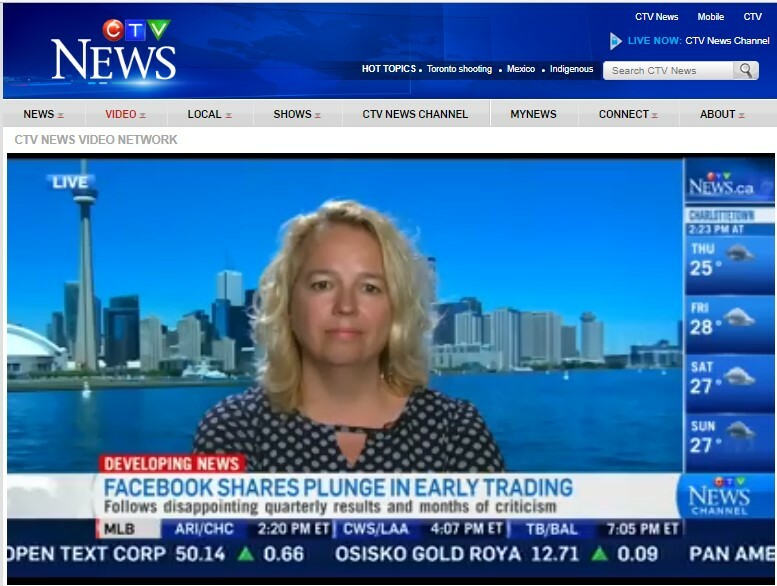 According to a Facebook Canada representative who spoke to Global News, the study in question, which was conducted a year ago, didn’t follow the social media company’s protocol for gathering user insight. The top motivating factor for research is to maximize the benefits of the user experience and mitigate the downsides, the company states. Furthermore, it claims to not offer advertisers the ability to target its users based on their emotional state. 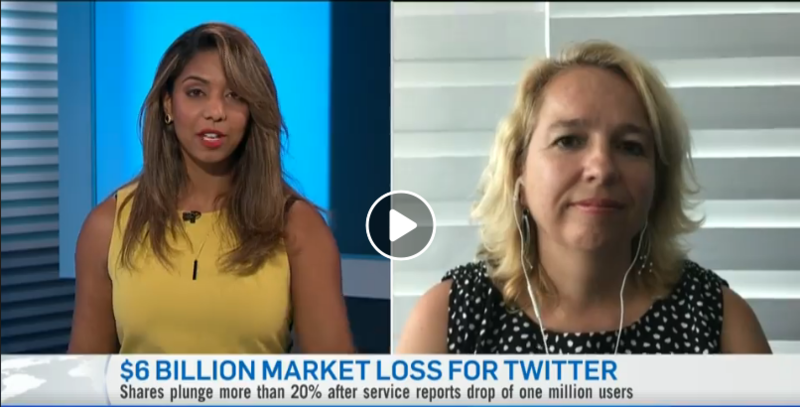 While the practice of reviewing online user information reeks of Big Brother, it’s something that has been going on for some time, says Lisa Montenegro, president and founder of Digital Marketing Experts in Toronto. She says it’s not surprising that Facebook might veer in this direction because the social media company has been losing the coveted teen demographic to new platforms, like Snapchat. However, this practice always comes down to responsibility. “If Facebook knows that teens are experiencing low self-esteem and flood their feeds with ads for cosmetics or diet products, that’s dangerous. But if they put up ads for the Kids Help Phone or counselling services, that would be positive,” she says. In actual fact, this is no different than the ads that run during TV commercial breaks — after all, that’s how soap operas got their name — this just taking a more sophisticated step forward, Montenegro says. Facebook has to approve ads before they’re shown and they typically won’t approve one that’s considered dangerous. They have a responsibility and they know it,” she says. Facebook apologized and consequently changed their research guidelines. Borrowell CEO Andrew Graham was in for a shock when some customer feedback recently reached his desk. Unbeknownst to Graham, the Toronto-based loan company’s digital ads were running on the website of Breitbart News Network. That’s the far-right outlet formerly run by Stephen Bannon, the notorious White House adviser who’s been described as a white supremacist. It’s not a place Borrowell cares to promote itself. “My reaction was surprise,” Graham says of learning that the ads had appeared. “We want our display ads and our ad dollars go to sites that are compatible with our values, and we feel that’s not a site that’s compatible with our values. Graham’s piece of advice to other business leaders who don’t want anything to do with Breitbart or any similar platform is to take a closer look at how their organization’s digital marketing campaigns are structured. Borrowell uses Google Display Network, its ads appearing on close to 14,000 websites around the world. It’s easy enough to prevent ads from showing up places you don’t want them to via an exclusion list, however, with Google having access to millions high-traffic sites, it can be challenging for businesses to keep up. Network advertising involves the use of technology that targets and personalizes ads in real time. Most ads are placed based on data about users – specifically, where they’re roaming on the Web — rather than the content of any given website. “If you set up a campaign that was too general… you leave it to the network to display ads anywhere; it could be ESPN, CNN, or Breitbart,” says Adolfo Montenegro, managing partner of Toronto’s DMX – Digital Marketing Experts. “[Digital ad] campaign managers need to go further and look at websites where they do not want to have their ads displayed and really dig down into the details. Borrowell isn’t the only Canadian organization that has found itself inadvertently advertising on the controversial website. The University of British Columbia and the University of Montreal both pulled ads recently after discovering that promotional material was appearing on the Breitbart site. Mountain Equipment Co-Op is another venture that halted its ads from appearing on Breitbart, after relying on a service to automatically publish ads on web sites based on a customer’s browsing history. The campaign is working: since then, hundreds of businesses have pulled ads, including Lyft, T-Mobile, Kellogg’s, BMW, Visa, and the Vanguard Group, an investment management company. Other companies, such as Nissan, have stated that their goal is reach as many customers as possible and don’t have any plans to change their advertising strategy. The anti-Breitbart sentiment has picked up in Canada in other ways. Shopify CEO Tobias Lütke, for instance, has received criticism for refusing to stop hosting Breitbart’s online store. I was really pleased to find some good guidance on market research to share with you this week. It’s a topic that doesn’t get much attention, but one that can make or break a startup or any plans for expansion. Jayson DeMers asks and answers the important question: When it comes to SEO, how cheap is too cheap? And if that makes you a bit concerned about your SEO, you’ll probably want to check out the three SEO tips to get your small biz noticed from John Swanciger. While Pepsi’s recent ad featuring Kendall Jenner caused a media storm, Jake Romm argues that it was actually a resounding success. Check your website against Jennifer Lobb’s list of five things it must have…unless you want to lose customers. Rasha Khawaja, Toucan founder and CEO, is the woman business leader profiled in this article by Laura Emily Dunn. There’s no question about it: We’ve been in a productivity funk for several years. Philip Salter says that small business adopting technology is the key to raising productivity. And while they aren’t techy, the six productivity hacks in this article by Christine Warner are solid. Munira Rangwala offers three easy ways to help women succeed in business and we all succeed when more women succeed. Not all networking strategies are good and in his Entrepreneur article, Kimanzi Constable outlines one terrible way of networking via social media for entrepreneurs. Need convincing that a strong social media presence is required for your startup? If so, this Social Media Daily article lays out the reasons. Finally, are you primed for a little inspiration and guidance? Try this piece by Brian Roberts: How I came up with a million-dollar ecommerce idea in 20 minutes. Our customers are always asking us what is new in terms of social media. In my opinion, LinkedIn is currently the most important social media site to keep up with for business. The sheer power of optimizing a LinkedIn profile to be indexed by Google and to rank your name and business name as the top SEO result is unsurpassed. From branding to optimizing for Google to utilizing for social selling and ultimately creating your profile online, I highly recommend to all of my clients that we work first on their LinkedIn profile before doing any other online strategy. Just this month, I met with a well-established photographer who said he did not believe in “online marketing.” When we completed the exercise of Googling his name, to his shock and surprise, only obituaries appeared. Apparently, another John approximately the same age as him passed away suddenly and all the links were about the other John. If his potential customers are searching for his name or business and are currently only finding obituary results, they are most likely turning their search elsewhere. Creating a well-optimized LinkedIn profile with a personalized URL would repair this problem immediately. To help you make the most of LinkedIn, I’ve put together a guide of all you need to know to become a LinkedIn pro this year. What Changes Has LinkedIn Made For Users? LinkedIn is currently the world’s biggest professional networking platform, so it’s not a major surprise that to keep things running smoothly, the company has made a few adjustments to improve its user experience. The redesign of the site comes after the upgrade of its app. The desktop tweaks are focused on making the crossover between the two platforms more similar in the hope that users will spend more time each day on the site – only 25% of the platform’s 450 million users used it monthly. The new interface (UI) boasts an updated color scheme, a shift from black to a dark teal. The menu bar at the top of the page is slightly thinner, mirroring the mobile app. Listed below are all changes you can expect to see; any features and areas not mentioned remain as they were before the recent upgrade. 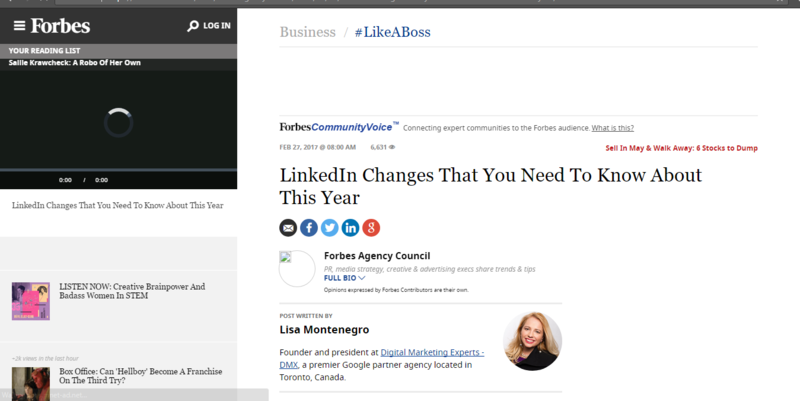 Aside from the ads on the right-hand side of the page, all the usual features are on the main page with the option to share an update, photo or article at the top of the page. What might confuse a few people, particularly any newcomers, is the “publish” option is just below that, which gives you direct access to the publishing feature. The profile rank feature seems to have disappeared since the update; perhaps it will return in time. In the meantime, be selective and test out your results. Your profile views and headline are shown directly under your photo. The timeline is the only new feature added to the homepage and looks similar to a Facebook feed with a count of how many people have read your latest post. The bedrock of LinkedIn is now accessible via the “Me” icon in the menu bar and is depicted by a tiny snapshot of your profile picture. Your photo is now circular so you might have to try a few different sizes to get a good fit. It appears that most people are doing best with dimensions in the 1800-by-300 pixel range, rather than the 1536-by-738 size LinkedIn suggests uploading. To see more than just your summary, people now have to click the “more” button, so it’s crucial you make those first two lines count. The only real downside about the new profile section is that you can no longer reorder the different parts of your profile. All the contact info for others’ profiles is now displayed on the far right-hand side along with website URLs. The options for sharing, removing, blocking, reporting, unfollowing and sending a request are all visible on the top right if you press the three little dots next to the centered profile picture. The old “in common” feature is now called “highlights,” making it easily accessible, while just below that you see others’ posts. When you used to click on “My Network” you were met with “Connections,” “Add Contacts,” “Alumni” and “People You May Know.” The new version takes you straight to your invitations and people you may know instead; click “see all” for the rest of your connections and keep in mind that the announcements feature has moved to your notification area. We’ve lost the “Alumni” search option, but you can get around this by searching for the school in the search bar. The notifications feature is new and improved, now with its own separate page; reach it by going to the top menu and clicking on the bell icon (this was previously a flag icon). This layout makes it easier to track engagement and respond, you’ll still receive all the notifications you did previously. These changes to the platform are more cosmetic than technical and only time will tell if they enhance the site long term. For newcomers and those who don’t use the advanced features, the changes are certainly worth it. For more experienced users, it doesn’t offer much in terms of newness yet. However, it’s still early days for potentially larger changes, as Microsoft only acquired LinkedIn in December.